Arg. Don't know what to say realy. In the Void you have created something that will never be repeated. Until I came here, Freelancer was sat in a desk gathering dust, after a brief forray into Life in the high skies. For me, the Void is Freelancer, end of. And whilst other servers provided such things as millions of npcs to bash, coughwtscough, or more modded ships than you could shake a stick at, here in the Void there was always a happy mixture of these elements and more. Anyway, I'll just have to start pestering someone else now. Oh I forgot... Hows the Defender?? Thank you for all you efforts over the years, and the incredible Mod and Community that you have created. Thank you for having the faith in us, the Staff team you have created, and trusting us with the future of your creation. 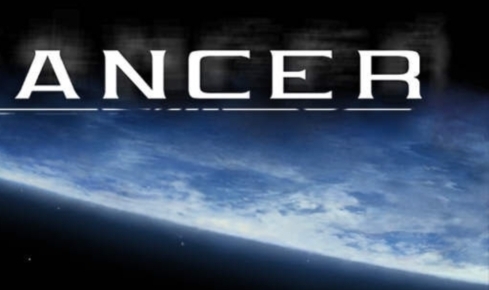 Rest assured, as long as there are people still playing freelancer then there will be a Void server. Who knows, now you may actually be able to take the time to kick back and enjoy your creation. Take Care buddy, and HAVE FUN ALWAYS. Take care boss,have a gr8 life and wish ya all the best. Thank you for everything! I dont know how many times we thank you in forums or in private messages, so I am sure you know that your work in the past years was good, productive and gave entertaiment to all, matutrity for some young ppl, something to worry about and care for others, and many others things. 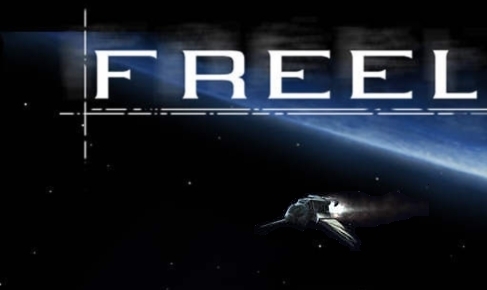 Freelancer is a game that need a lot of interaction, and making a mod like this one, managing a forum like this one, keeping the freedom, just a few rules, giving he chance to the players to express theirselves in their own lenguage (many games are ruled to speak english only IoI ), building a very solid comunity, are all of them very important and hard goals. I am older that most of the ppl here, and I felt like a kid and that was wonderfull, a very interesant experience and it developed my knowlede about me and other persons. Sometimes my wife told me: I cant understand why do you play that kids game. why do you expend time in that thing?. I always answered the same, if you try you would understand, but she never did. Thank you for the server. Thank you for the community. We thank you for all have you done for Void. thanks for this server and your long ongoing enthusiasm. 'career', I never felt a need to leave, just took rests. a look in the forums, that you know what's going on. Hope I'll see you some time in game again. You are THE VOID, scream on! My eyes are full tears for Your care, and a heart is filling endless gratitude to you. It is talked that creations of genii give them immortality... Let it be. ...Great Creator STRAIL has exhaled not just a new life, but has cardinally changed a reality of Void. Ladies and gentlemen!Can I offer one system in new mod to do by name STRAIL? Why to think of the names when the names of creators are deserving that to be on his map. I do not know you personally, but through your creation I am already full deep respect to you. I thank you repeatedly for that pleasure which your creation are gave me for these years that I here. I thank you for your efforts here and wish the best for you and your family in the future. And I am sorry for multiwordness and errors in a text. Thank you Strail, for your awesome work ,a lot of time and energy that you spend here for the maintenance of Void and for this game, creating a nice gaming place for all of us and creating this nice comunity here . Im sure, all Voidians will miss you and will remember you and your work.Im sure you let the Void on good hands, im quite confident on this. I wish you health, happyness and good luck in your Real Life,enjoying a deserved vacacion! Long Life to STRAIL!!! Long life to VOID!!! Like most of people said here,real life is first,but at the end of a hard day we all want to meet some friends and have some fun on Void.togheter.I really hope Void will go on.Good luck in life Strail,all the best! In the end Life itself is the most important "game" we all have to "play". Good luck and stay well Alan. Good Luck further on in your life, everyone needs to focus intensly on real life from time to time and take breaks when things stop being the same fun as it used to, I have been there a couple of times (only short breaks though.) and I know everyone here respects you and what you have done for this the Freelancer game, This server, this community and all those people that have been playing here through the years. You have allways had my respect for the work you have put into this place and you will continue to have it even though you might not be here anymore (at least not in the position as server god you have held until recently. ).